Principles of both differ, their aims are similar. The USA Patriot Act – aka Uniting and Strengthening America by Providing Appropriate Tools Required to Intercept and Obstruct Terrorism Act – purportedly aimed to combat Islamic terrorism Washington created and supports worldwide. Increased military spending followed. So did endless wars of aggression in multiple theaters, along with eroding homeland freedoms. The 9/11 mother of all false flags unleashed state-sponsored, media supported, mass hysteria – the pretext for waging war on humanity at home and abroad. The Patriot Act was written long before 9/11, on the shelf to be introduced and enacted into law weeks after that fateful day. Britain’s Fusion Doctrine didn’t suddenly emerge in the wake of the March 4 Skripal incident. These initiatives take considerable time and debate to draft. It had to have been prepared well in advance of the state-sponsored Skripal incident, justifying what’s clearly unjustifiable. It’s a doctrine targeting Russia most of all – along with Iran, North Korea, and Islamic terrorism (which Britain supports covertly along with US-dominated NATO). Targeted countries, ISIS and other terrorist groups pose no threat to Britain, America or other Western nations. Claiming otherwise is part of escalating US/UK propaganda war – often preceding events turning hot. Almost certainly on the shelf like the USA Patriot Act, the Fusion Doctrine was rolled out in the wake of the UK-staged false flag Skripal incident. Russia had nothing to do with it. State-sponsored, mass media supported, hysteria claims what’s clearly a bald-faced lie. 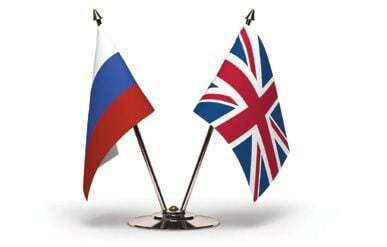 The doctrine escalates UK political war on Moscow more than already – a hugely dangerous slippery slope, a road to possible nuclear war if the madness doesn’t stop. Purportedly aiming to crack down on anything called “misinformation” or fake news, it’s a virtual declaration of war on independent media, speech and academic freedoms, threatening all other rights free societies cherish. It’s part of Britain’s National Security Strategy, as well as its Strategic Defense and Security Review at a time the nation’s only enemies and threats are invented to justice an unjustifiably hostile agenda demanding condemnation, not support. PM Theresa May refuses to release alleged evidence of Russian responsibility for the Skripal incident – because none exists. Just like there’s no evidence of Russian US or EU election meddling, none supporting the phony accusation of Russian aggression in Ukraine, along with no Kremlin involvement in downing Malaysian airlines MH17. Falsely blaming Russia for the Skripal incident escalated US/UK-led Western Russophobia to a greater, more dangerous level. Moscow hasn’t responded so far. Anything less than showing strength and unwillingness to put up with hostile Western treatment any longer will show weakness – encouraging further assaults on its sovereignty. US, UK, NATO political and economic war on Russia risks heading things toward direct confrontation – the threat of catastrophic nuclear war. Escalating Russophobic rage makes the unthinkable possible, notably with Trump’s hardened war cabinet. Things are recklessly heading into the abyss of no return if strong countermeasures aren’t taken by Moscow. It’s crucial for Putin to lead through resolve and strength because leadership for peace over war in the West doesn’t exist.